You will never find it. Sorry! The internet tends to have its moments. Those weird moments where everyone is left scratching their heads over an insane optical illusion or a trick of the eye (*ahem* blue/gold dress anyone?). That seems to be the case for a few Redditors who have definitely been stumped by the cat picture to end all cat pictures. Upon casual inspection, this just looks like your run of the mill pile of logs. Nothing to see here. Nothing out of place. 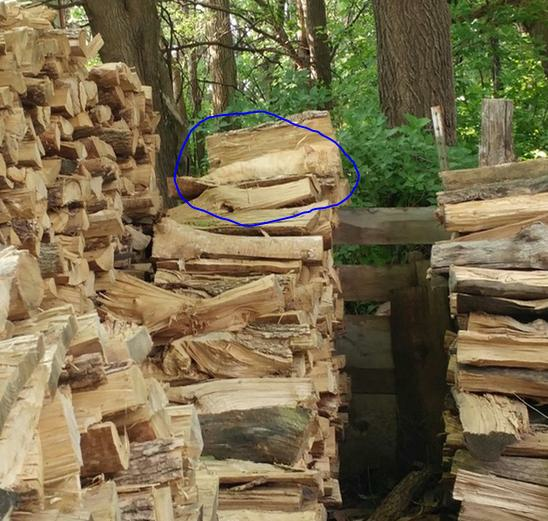 Until someone informs you that there is a cat cleverly positioned amongst these logs and suddenly you realize that everything you ever knew was a lie. Still looking? Yeah that's because this clever little hell cat has quite literally decided to turn itself into a chameleon. If you haven't already gotten it, get ready to slam your head against the closest hard surface. It's right in front of your eyes. See how it is stretching its little body to match the exact size and width of the logs surrounding it? Yup. Hell cat.